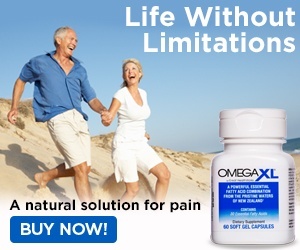 Omega Xl - I found a higher amount DHA/EPA in another fish oil supplement. Sep 18, 2018 Thank you for your review, unfortunately we were unable to reach you. We strive to deliver excellent customer service. Your account has been cancelled effective September 17th 2018 and a refund, minus shipping and handling, of $39.95 has been submitted, please allow 2-3 business days for processing. Should you have any further concerns feel free to contact us at 1-800-607-0419 and one of our agents will be more than happy to assist you. Omega XL comes with a 90-day refund policy, and I am within the 90-day period ...I do not want any charges on my credit card. I do not want to try a sample of this product and wish to cancel any "auto ship" I may be enrolled in. Please do not ship me anymore bottles. I would like to initiate a return and ask for a refund, without any wear down tactics. Please do not make me file complaints with the post office, BBB and my credit card company. If I have to I will cancel my existing card and request a new card due to fraudulent charges. Review #1354847 is a subjective opinion of TemptingDunker725.